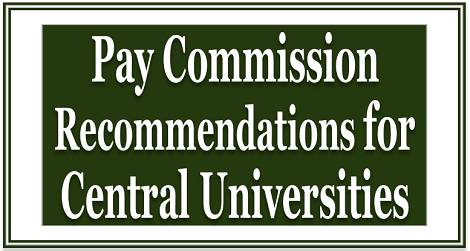 (a) to (d): The orders regarding pay revision in respect of Central Universities have been issued as per the recommendations of the 7th Central Pay Commission. As regards pay revision of the non-teaching employees of the Central University which is not generating adequate internal resources to meet the additional financial impact, the extent of Government support may be more than 70% of the additional impact, provided the nature and fund position of the concerned Central University so warrant. Accordingly, the Central Universities which are not in a position to meet either 30% or any lesser amount from their internal resources, the revised pay scales are allowed after adjusting the amount realized from internal resources. This is the considered decision of the Government and the Central Universities can increase their internal receipts from other sources apart from fees charged from students.